Bellows have a multitude of uses such as dampening devices and shock absorbers, flexible couplings and expansion joints, pressure sensors and switches, aneroids, accumulators, or even as the heart of small devices like the bellows pump. Edge welded metal bellows consist of a series of thin circular metal disks with a hole in the center. Pairs of disks/diaphragms are first welded together at their internal diameters. 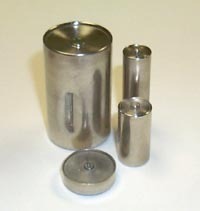 A quantity of these metal pairs are then assembled on a mandrel to be welded on the outer diameter to create a bellows assembly. 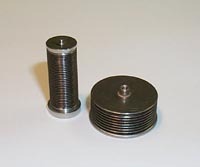 Metal seals, similar to bellows, can be manufactured by welding two thin stamped disks together to create a spring seal of exceptional quality and functionality. 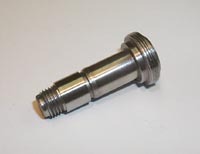 This can replace the close tolerance machining previously required for these elements. The welding method of manufacture can produce a higher quality product at a fraction of the cost. 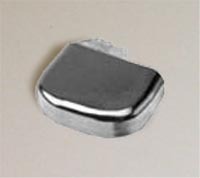 Lithium provides one of the highest number of ampere hours per unit weight of metal making it an ideal material for a battery anode. A lithium cell can offer more that 16 times the energy density of an equivalent carbon-zinc battery cell. Lithium batteries can thus be made smaller and lighter without sacrifice in performance. Because Lithium has an extreme reaction with moisture, the batteries are very often hermetically sealed by welding the battery lid to its case. A pacemaker is a device that assists in controlling the regularity of a patient's heartbeat. Similar to many other implanted devices, the entire assembly must be hermetically sealed to protect the device from damage from body fluids and to prevent any potential leakage of the device's internals into the patient's system. This usually requires low heat welds of great precision. An obvious application for a Lithium battery is as the power source for a medical pacemaker. These batteries must be as physically small as possible and provide a long term reliable source of electrical power for the critical functions of the pacemaker. This often requires low heat welds near a glass to metal seal where the anode exits the battery. Pulsed arc welding with the TIG or Plasma process usually provides manufacturers with the solution for this welding application. A solenoid is a mechanical actuation device that consists of a coil of wire that, when carrying current, magnetically attracts a sliding iron or ferromagnetic core thus converting an electrical signal into mechanical motion. 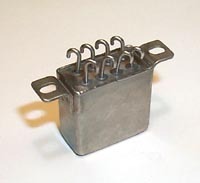 Some metal solenoids have their bodies welded together to form a sound mechanical and hermetic seal. 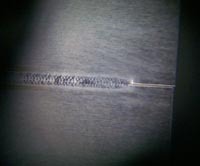 This is usually accomplished using a pulsed arc technique to provide a high speed, low heat welding solution. Relays are electrical devices that respond to signal from one electrical circuit by making or breaking a connection in another. When used in harsh environments due to heat or the potential of contact with caustic substances, relay canisters can be hermetically sealed by welding. This usually involves welding the canister lid to the body. Due to the many glass to metal seals in the lid of the relay, the welding must be accomplished with minimal mechanical distortion or heat increase at short distances from the weld zone. 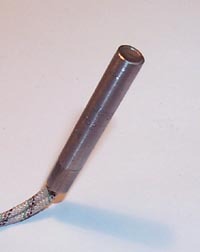 Firerods are calorific heating elements for increasing temperature in a wide range of applications. Due to the variety of caustic solid, liquid and gas environments that these elements service, combined with the high temperatures the heater creates, these devices are often hermetically sealed by welding the metal cap to the body. TIG or Plasma welding usually provides the welding solution. Transducers, pressure sensors, load cells and accelerometers require welding as part of their manufacture. 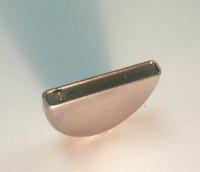 This can require welding of end caps or welding of thin metal diaphragms to the transducer bodies. Welding of these elements must provide a sound mechanical connection and yet be a localized heat process to avoid internal damage and mechanical distortion. Hardfacing involves building up edges of components to provide a wear surface. Usual applications lie where the metal surface to be hardfaced will rub against another metal surface or hard material as part of its normal use. Components with this use vary from turbine seals and turbine blades to extruder screws and augers, to valve seats and the surfaces of some pumps. Hardfacing or edge build up can be accomplished with the TIG or Plasma process by creating a weld pool and then adding the hardfacing material by feeding a wire into the weld pool (wirefeed). In Plasma powderfeed welding, the hardfacing material is added to the weld pool through the welding torch in the form of a powder. 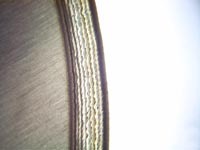 Straight line seam welding of metals is routinely performed in material thicknesses from .003" (.08mm) to 0.5" (12.7mm) to create tubes, cylinders, cones, filter sheets, square, rectangular and circular boxes. Seam welding is also used to join one end of a material strip to another for tube mill applications or for joining material strips together to ensure continuous feed to metal stamping machines. Seam welding usually involves tooling to clamp the plates/strips on both sides, a backup bar to support and heat sink the weld pool, and a mechanical motion system to move the welding torch accurately along the weld joint.